DO NOT EVER BELIEVE THE FNPF, THEY HAVE BREACHED LEGAL CONTRACTS PREVIOUSLY AND ARE PROTECTED BY DECREE 51, IF THEY MAKE ANY CHANGES, OR FAIL TO MEET THEIR OBLIGATIONS, DECREE 51 STOPS PENSIONERS OR INVESTORS FROM TAKING THE FNPF TO COURT. 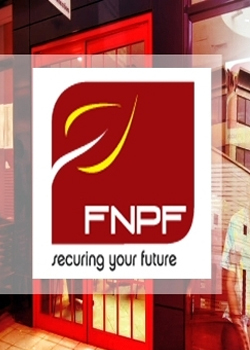 The Fiji National Provident Fund says it has reviewed and increased its Term Annuity retirement product rates that will benefit retirees who intend to purchase the retirement pension product. The new term annuity rates were determined based on recent Reserve Bank of Fiji yield curve report, offering an improved rates reflected by the current market. The Term Annuity retirement product is designed to offer alternative retirement product option to meet the needs of retiring FNPF members. Members who purchase the product, is free to opt for a 5, 10 and 15 year pension term and is to receive a monthly pension payment with interest that reflects the current market and the Fund’s investment return for the term of the annuity. FNPF’s Assistant General Manager PRIME services, Tevita Nagataleka says the review ensures that retirees who purchase Term Annuity retirement product are fairly charged for the guaranteed pension payments they are purchasing. The product makes regular monthly payment to the person who purchases the product, for a fixed term of either 5, 10 or 15 years. Should the person die before the end of the fixed term, payments will continue to be made to the person nominated until the end of the term. The nominee can apply to have the remaining instalments exchanged for a lump sum at a rate set by the Fund.